Your vehicles exhaust pipe has a hard life. They are exposed to the elements and the salt on the road so even if you drive very carefully, car exhausts eventually corrode and need replacing. We will find and fit an affordable but durable, long lasting exhaust system for your vehicle. A healthy exhaust system is essential for any vehicle as it transfers poisonous gases to the rear of the car, reduces engine noise inside the car and converts unspent fuel into spent fuel via the catalytic convert. There are usually 5 sections to an exhaust system. We will advise you which sections need attention. We are able to carry out work on all different makes and models. Our mechanics have worked on Exhausts on a wide range of vehicles. J A Price Motor Engineers believe the customer comes first. 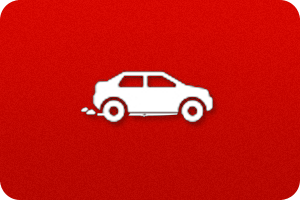 Our Exhausts specialist will talk you through the problem and will only replace items that are necessary.